This course defines the practice of oral health literacy, explains the importance of oral health literacy in dental practice and describes strategies to incorporate health literacy in dental practice. Describe why there is an imbalance in the public’s basic oral health literacy and the knowledge needed to prevent oral disease. Provide oral health information and services that make it easier for the patient to understand and use. Describe the promising public health and patient education strategies needed to improve oral healthcare. Dr. Terry Davis, a pioneer in the field of health literacy discusses the topic of health literacy, provides rationale for using health literacy practices and methods that incorporate health literacy when providing oral health related information. 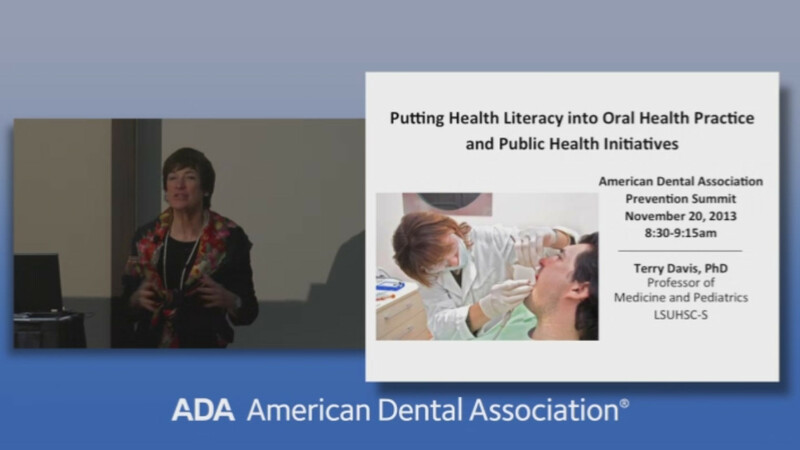 Why Focus on Oral Health and Oral Health Literacy? How Does Literacy Affect Dental Practice?